These are the best cards you can get when you don’t have a lot of scratch. Black Friday and Cyber Monday are right around the corner, marking two of the best times during the year when you can score some new gaming PC parts on the cheap. Whether you’re looking to upgrade your own rig or get a gift for the PC gamer in your life, a new graphics card can certainly be a valuable addition. However, as anyone with even a passing interesting in PC gaming knows, some of the better cards come with hefty price tags attached. Fortunately, there are cheaper options available, and they might actually be ideal if you mostly play indie games since they can usually run just fine as long as your graphics card is semi-decent. Below are some of the best budget graphics cards you can buy, and chances are good they’ll be even cheaper once Black Friday kicks off later this week. If any of the below graphics cards catch your eye, be sure to consult our Black Friday PC hardware deals hub to find links to deals on them and other gaming PC parts. If you want to play the latest indie titles (and even a decent number of AAA games) and have them look good as well, the GeForce GTX 1060 is a very solid option, and its compact single-fan design means that it doesn’t take up a lot of space either. Note that the $260 price tag only applies to the version that has 6 GB of dedicated RAM. There is also a 3 GB version which cuts the price down to $200. Early reports show that the 3 GB version will have its price reduced further down to about $170 once Black Friday begins, and it seems safe to assume the 6 GB model will have its price cut also. 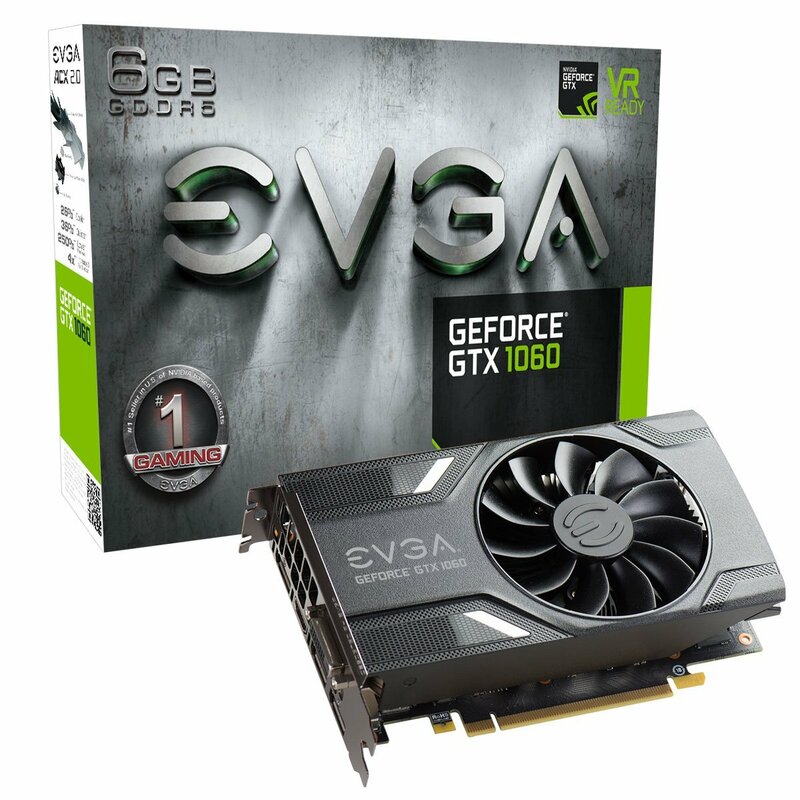 If you don’t mind spending a little more than what you’d pay for the EVGA GeForce GTX 1060, the ASUS GeForce GTX 1060 card absolutely offers the most bang for your buck (in fact, it’s the card I happen to be using right now for my own gaming desktop PC). 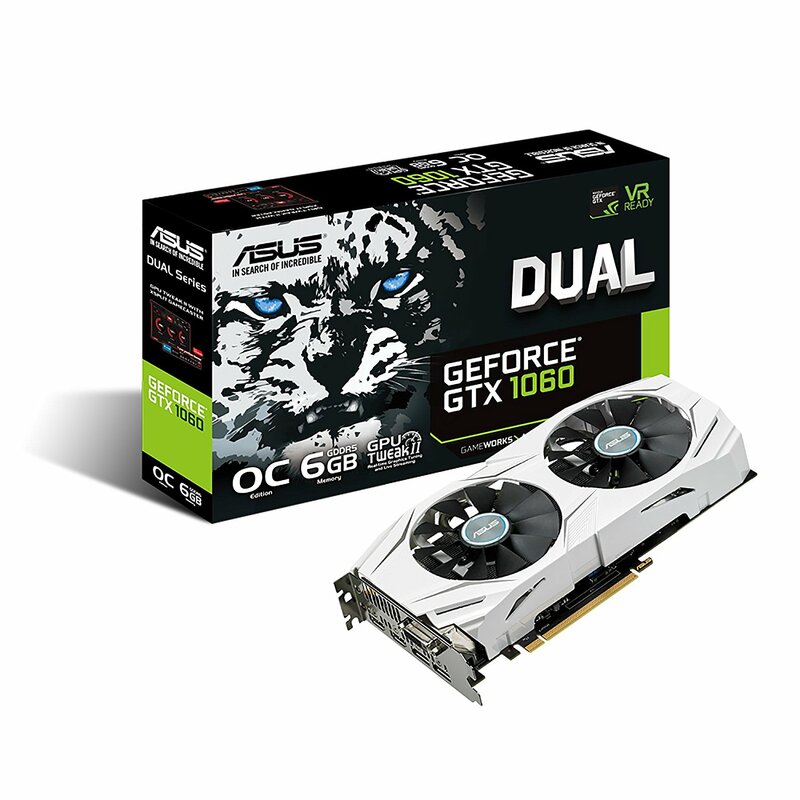 Similar to the EVGA option, the ASUS GeForce GTX 1060 has two versions, a dual 6 GB and a dual 3 GB option. The dual 3 GB option is cheaper, but investing in the dual 6 GB option will ensure you can get the most performance out of whatever games you play. Plus, early Black Friday reports show that the dual 6 GB option will have its price reduced down to about $270, making it even more worth the added investment. For those who don’t care too much about running their games at max settings, the MSI GTX 1050 TI is a solid card that certainly won’t break the bank. 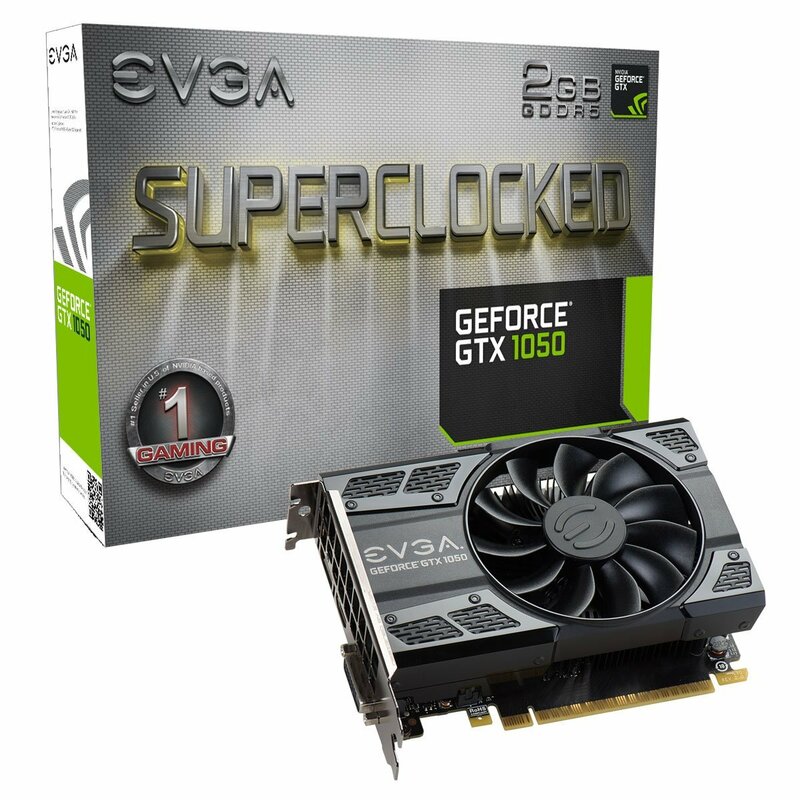 Much like the EVGA GeForce GTX 1060, this card features a single-fan layout and it’s also equipped with an impressive 4 GB of dedicated RAM so it should run both older and newer games alike with little effort. 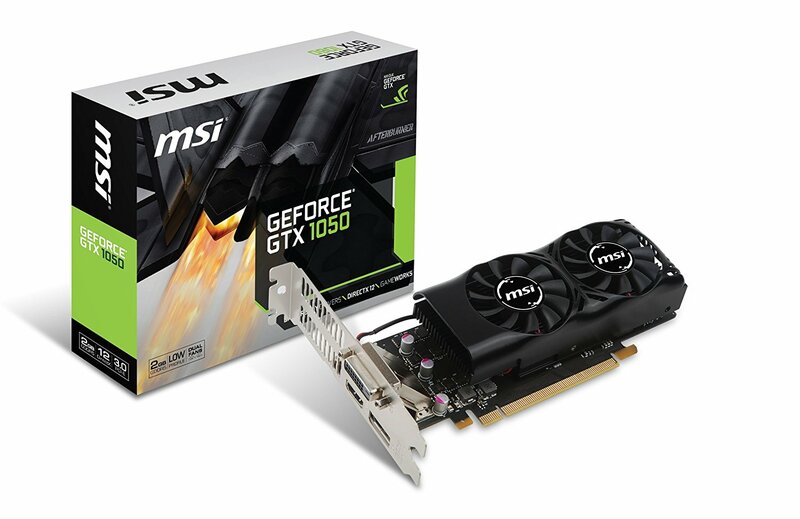 We’ve already started seeing Black Friday deals pop up for some of MSI’s newer cards, so hopefully the MSI GTX 1050 TI will get a discount of its own. But even if it doesn’t, it’s still a very good sub-$200 option. 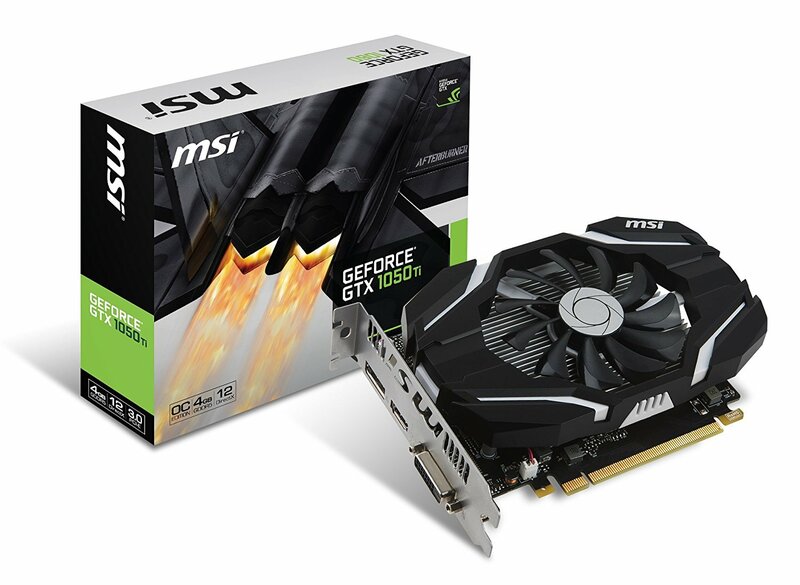 There are actually several different versions of the original MSI GTX 1050, some are single-fan, some dual-fan, but they all differ from the above TI model by cutting down the amount of dedicated RAM from 4 GB to 2 GB (hence the reduced price). If you know ahead of time that you won’t be playing any graphics-intensive games, the standard MSI GTX 1050 should serve you just fine, but we’d recommend investing a little extra for the TI model if you can afford to do so. Specifications-wise, the EVGA GeForce GTX 1050 SC isn’t too different from the above MSI GTX 1050 as it also comes in a single-fan design and sports 2 GB of dedicated RAM. However, it does tend to be slightly cheaper, something to consider if you’re trying to save every dollar you can this holiday season. Still, even with its small price tag, the 1050 SC should be fine for mid-range gaming, especially if graphics aren’t a huge concern for you.